Contact staff@txpmf.org to donate supplies or for travel details. All volunteers pay their own travel. Passports required. Over 640 patients treated at clinic, 37 surgeries done, over 400 orthotics given and 3 braces, 70 shoes and check ups provided for 2 orphanages and over 300 shoes given out to patients. We had 38 total volunteers and doctors that travelled from Texas and Utah. Over 665 patients were treated during the 2 clinic days at the Hospital General. Thank you to the chief attendings of the mission, President: Don Falknor, DPM, Vice President: Jim Kutchback, DPM, Dr. Chris Browning, Dr. Steve Brancheau, Dr. Dale Lane, Dr. Isaac Bazan, Dr. Katherine Freeland, Dr. Karry Ann Shebetka, Dr. Stan Churchwell and Dr. Brian Sicher. Special thank you to Bako, Forward Motion, Dr. Comfort, Tetra, Empire Extremity, Trilliant and Richie's Pharmacy for their donations of supplies and financial support. Ten residents from Texas programs were sponsored by TPMF and 1 resident sponsored by BAKO to attend the mission. Thank you to everyone for their support and commitment to help the lives of these indigent people who are unable to get foot care. What would you do if you could not get foot or ankle care? In central Mexico, near San Miguel De Allende, there are thousands that do not have access to any care at all. Six years ago, a group of podiatric surgeons from Texas adopted this city to provide much needed care for free to the indigent people. Volunteers pay their own travel, but funds are raised each year to cover costs of medical equipment, supplies, medicines, anesthesia and shoes. Dr. Don Falknor of Houston is current Foundation President and was Mission Team Leader for 2014. Thank you to all the volunteers & sponsors for the 2014 mission! 350 patients treated plus 80 children received new shoes at the orphanages. 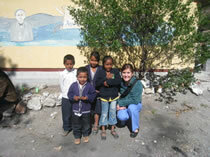 TPMF with the help of Stryker & BAKO , sponsored 6 residents to travel to the mission for 2014! They get the most rewarding experience and opportunity to train with other doctors. Patients came from the surrounding villages and San Miguel area. There is nothing more rewarding then having a 50 year old man hug you and thank you for making him able to walk without pain, so he can walk 10 miles to work in the fields and feed his family. Participating in a mission to those less fortunate helps all of us have new perspective and appreciate what we do have. Click HERE to see 3 year old Kevin with a club foot trying to walk before surgery. Ecuador Mission: TBD 2015 - Hosted by the Association of Extremity Nerve Surgeons. Mission is focused on surgery at the Leprosy Hospital for nerve releases and repair. Residents or doctors can contact info@aens.us for details. Honduras Mission: January & July annually - Hosted by Dr. David Cavallaro, Oklahoma. 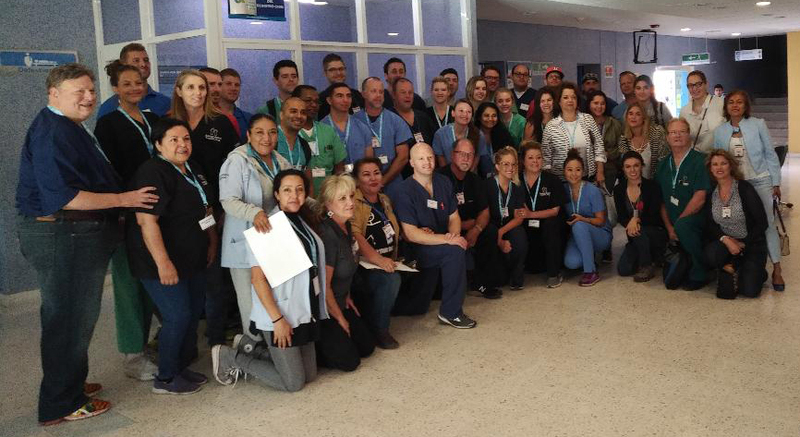 This mission is focused on clinical and surgical care in San Pedro. Contact dccavallaro@aol.com for details. FOR INFORMATION ON REQUESTING SUPPORT OF OTHER MISSIONS, CONTACT staff@txpmf.org. The TPMF has sponsored a mission to Mexico for the past 10 years. 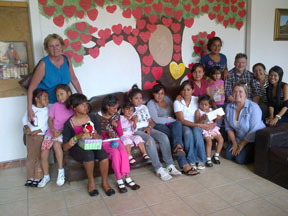 The current mission partnership with San Miguel de Allende also includes providing shoes for 3 orphanages. Grants include travel and hotel. 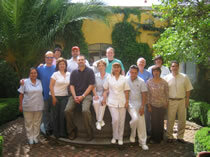 TPMF also provides travel grants for Texas residents to participate in the medical mission projects. Please complete the attached form to apply. Contact TPMF or any of the Mission Committee for details.